Cloud computing is steadily growing to become the most expansive business platform in the world primarily because of its numerous benefits, among them scalability, cost effectiveness, mobility and increased security. Although 56% of entrepreneurs are reportedly optimistic about cloud security, it still faces a significant amount of risks and potential threats. For most corporations, especially small and medium businesses, the cloud is a relatively new networked paradigm whose security protocols are still yet to be completely comprehended. Consequently, a large number of businesses owners who are concerned about security, are considerably uncertain about relying on third party cloud service providers. Their fears are further fueled by some of the recent news, where hackers have targeted and successfully infiltrated some of the most popular cloud servers including Dropbox, Amazon Cloud Service and GoGrid. Despite the security compromises, these cloud providers have managed to successfully recover and subsequently implement impenetrable security measures to prevent future occurrences. Protecting your cloud servers is therefore possible as long as you understand the threats and utilize the necessary tools. In fact, cloud security is easier to implement and harder to penetrate than regular in-house data security. So, which are the essential tools for cloud security? To determine this, you need to first evaluate and determine the type of cloud service you are using. There are three types of cloud services, each facing a unique set of security threats. Infrastructure as Service (IaaS): As a consumer, this type of cloud allows you to use arbitrary software like programs and operating systems through its resources including networks, storage, processing and other critical resources which are distributed through the internet as virtualized systems. The underlying framework of resources is protected by service providers. The security of the applications and operating systems on the hand, is dependent on the consumer. Therefore, it’s critically important to install the necessary security infrastructure to protect your data and operations as you use IaaS. Platform as a Service (Paas): This cloud system eliminates the need to install any system or platform in your computer, and instead allows you to deploy your own applications directly on its infrastructure through the internet. A number of resources including software development frameworks are provided to you to boost your applications and overall operations. Underlying Infrastructure Threats: The underlying framework is the most important element because it forms the foundation of many applications running on it. A system failure would completely cripple all the applications and subsequently disable all the features. Protecting this infrastructure is therefore more important than securing the individual applications. Fortunately for consumers, its security is entirely dependent on the developers and service providers. It has to be comprehensively protected by sealing all the loopholes including the individual applications. An infiltration on an application shouldn’t be subsequently passed on to the runtime engine. System Development Threats: Developers should come up with an architecture that securely accommodates all the frequent application updates, without exposing the system to additional vulnerabilities. The security development processes should therefore be flexible enough for all the updates. Third Party Threats: Since Paas cloud models provide users with third party web services like mashups, security should extend to such components to avoid possible network and data infiltrations. Any security threat from mashups should be effectually contained before spreading to other entities. Software as a Service (SaaS): Contrary to other two cloud models, SaaS consumers have very limited control on security. The security is largely controlled by the service providers, who host and distribute services like SCM, CRM, ERP, conferencing software, and more, to their individual subscribers. The primary threats come from malware lodged into the main cloud systems to infiltrate the networks and possibly cripple them. The responsibility of detecting such malware and preventing attacks by blocking them lies sorely with the service providers- through impenetrable firewall and anti-malware systems. Encryption has been a standard data security tool even before the invention of computers. It reportedly started with ancient Egyptians, who used cryptography, an encryption system, to pass messages without revealing the actual details to the general public. 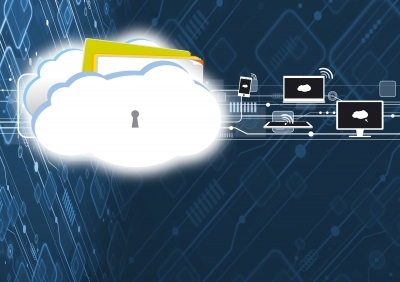 Today, encryption could be used to store sensitive data within the cloud. Consequently, the data would be useless and meaningless to hackers if they successfully infiltrated the system. Some of the most widely used schemes include SSL and Advanced Encryption Standard (AES). Cloud services which utilize web applications are predominantly vulnerable since such applications are easy targets to hackers. They are particularly notorious of creating malware that pose as web applications to steal data from cloud users. The most effective strategy of protecting your data and network is installing efficient web application scanners- to comprehensively scan all the web applications to block cyber-attacks and malware. This is a security framework to protect against the spoofing of virtual networks, where data could be stolen by a malicious virtual machine as other virtual machines communicate. The Xen based system comprises of a three layered model (shared networks, firewall and routing layers) that uses routed or bridged configuration modes to detect and block inter-virtual machine spoofing. Data leakage is a common security phenomenon in cloud networks, where data is distributed to the wrong party as it’s being processed, stored or transmitted. The most reliable method of preventing this is Fragmentation Redundancy Scattering– where data is first broken down into minute, meaningless fragments and distributed separately. If it falls to the wrong hands, the receiver won’t make sense of the individual fragments without defragmenting the rest. There are many other tools, strategies and countermeasures to protect your cloud system and boost your overall data security. The suitability of a tool depends on your data architecture, infrastructure and relative efficiency of the tool in protecting other similar systems. That’s why it’s advisable to first do a comprehensive analysis on the reviews of a tool/strategy from IT architects before implementing it. Finally, remember to periodically review and scan your entire system to identify potential developing vulnerabilities.